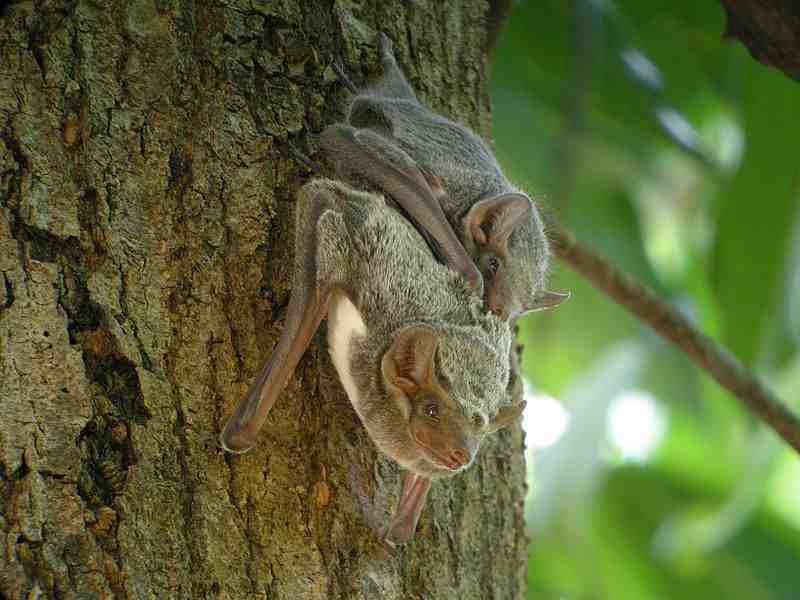 This cute, curious pair of bats belongs to the Phyllostomidae (leaf-nosed) family. They feed on fruit and sometimes pollen and insects. They use leaves to protect themselves from the elements and they also make a good hiding place from predators. This amazing fruit bat photo was taken by Stefanino123 in the Maldives. He's got lots of other great pictures in his Flickr photostream. 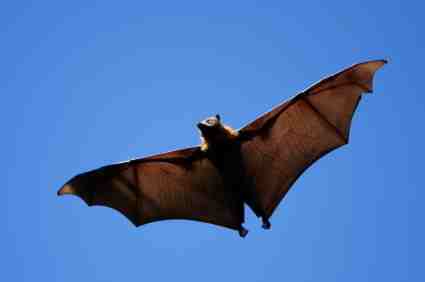 Grey-headed flying foxes (or fruit bats) are found in Australia and feed on pollen and nectar as well as fruit. Cave Myotis in a cave roost. 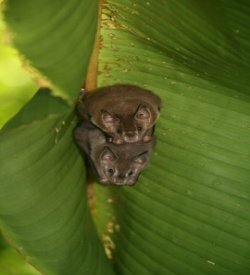 These bats are native to Central America and the south-western states of North America. 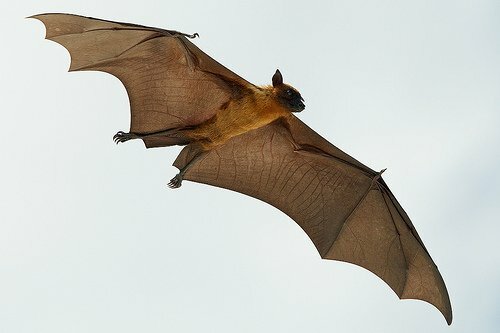 Despite its name, the Indian flying fox is found in quite a few places in Asia including Nepal and China. 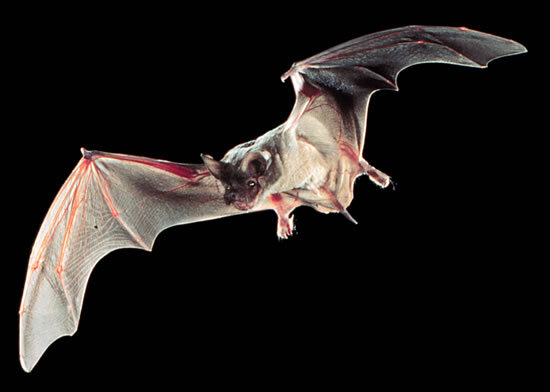 A Mexican free-tailed bat can achieve speeds of up to 60 mph (97 kmh)! 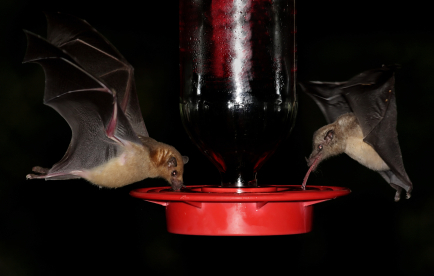 Do you have some pictures of bats that you'd like to share? If you've got a gem of a photo, spread the joy and share it with others here! Give your picture a title e.g. the species name and/or what it's doing? To add your pictures, click the button and find the first one on your computer. Select it and click on the button to choose it.